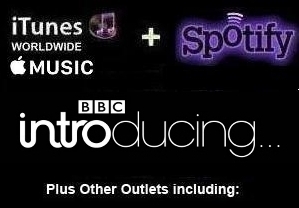 Licensed Distribution to Sell Your Music Worldwide! CONFIDENTIAL RECORDS works with DIY Labels, Independent Record Labels, Management Companies and unsigned Bands / Artists to sell their music Worldwide through major online stores such as iTunes / Apple Music, Spotify, Amazon etc. Guaranteed Radio Plays on Jango Radio! All songs / titles must be published through Maori Music Publishing or another approved Music Publisher. By submitting material for Digital Distribution, you authorise Confidential Records (UK) Ltd to act as Exclusive Licencee for these recordings and for them to register these recordings with PPL, Music Reports and SoundExchange etc., on your behalf.